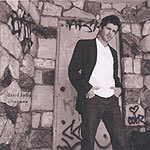 With a voice somewhere between Mark Knopfler and Ron Sexsmith, and a knack for writing modest little songs that nestle into your heart, Oceanside's David Lally has delivered a lovely debut album. Lally (who originally hails from Galway) sings and performs all the instruments here. For the most part, it works very nicely  Lally's focus is on the songs, not in impressing the listener with wild guitar solos or long instrumental solos. By playing everything himself, there are no ego issues, no worries about not giving the band room to show off a bit. On some of the songs, though, Lally lets the studio technology get in the way of the music. Too many effects  swirling points of origin, volume fades, disco drum beats  nearly ruin "Mona Lisa," for example. "Make It Easy" is buried at times with science fiction beeps. And "Before" makes Phil Spector seem a hands-off minimalist by comparison. But on the best tracks, Lally lets his voice and instruments take center stage. And so the opening track, "Console," is a near-perfect gem of quiet folk, "Undertow" an evocative broken-hearted tale. "Blame" is gorgeous in its restrained darkness, while the country-tinged "Wednesday" haunts with its aching desire. Lally's got talent enough to carry any song on its own merits; here's hoping next time he rents studio time, he has enough confidence in his God-given abilities to leave the effects boxes alone.